Come and enjoy a homemade breakfast and stories from way back when.... by Willi Irish, our director of interpretation. Since 1973, Norlands renowned living history programs have given insight into life on a Livermore farm one hundred and fifty years ago.Interactive programs help students of all ages identify with the past and develop a greater appreciation of the present. 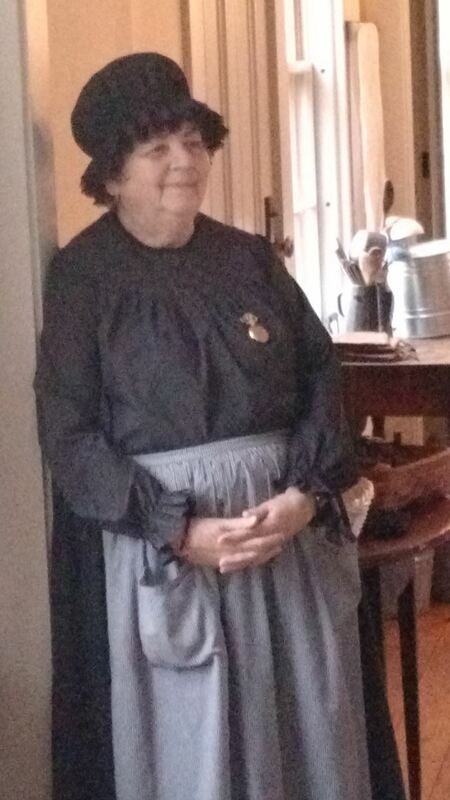 At the Chamber Breakfast at Norlands in December,visit the center, hear an update of current programs, and meet "Clara Howard," portrayed by Willi Irish, Norlands' Director of Interpretation. Aunt Clara will lead an interactive talk about Norlands. Take part in the fun to better understand the frugal lifestyle of life on a Maine farm in the 19th century. Breakfast will be served in the farmer's cottage. Park by the church and walk up to the mansion. Enter the door on the right, nearest the barn. $12 breakfast - proceeds for this breakfast benefit Norland's . Please Mail a check to PO Box 458, Livermore Falls Maine 04254 or bring a check or cash to the meeting, thank you! Space is limited, please RSVP online or you may contact the Chamber Office by Friday November 30, JLLF@jay-livermore-lf.org or call 500-2464.